London’s pretentious property price tags are forcing public sector workers out of the capital and into the surrounding counties. Even doctors aren’t immune to the ill-effects of the spiralling sums needed to secure and upkeep a mortgage. However, for those in lower-paid roles, such as Health Care Assistants, the monumental shortfall between the job’s salary against the average figure required to secure a mortgage highlighted that workers in this role were unable to secure a house anywhere in the country, without another additional salary. With the situation looking bleak; what hope remains when looking to remedy this dire situation? 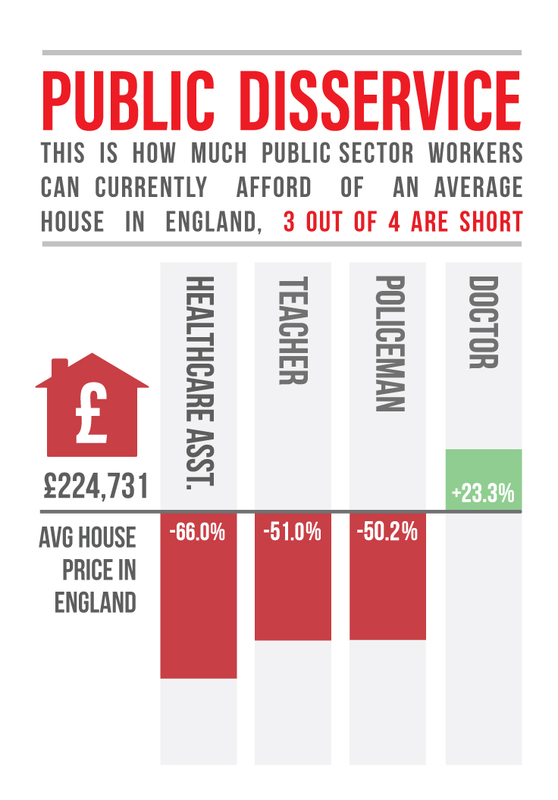 We decided to research, along with Journalistic.org four public sector professions in the UK, and their average take home salary against the affordability of average property prices across the UK and how much they could afford when purchasing a home, based on a single mortgage. Public sector jobs provide essential services throughout communities; their pay however, rarely reflects the arduous nature of such roles. Unprecedented stress levels, erratic working hours and the burden of responsibility often leaves employees overwhelmed both mentally and physically. A lavish lifestyle may be unobtainable for workers in such roles however, basic necessities such as a house should be within reason. 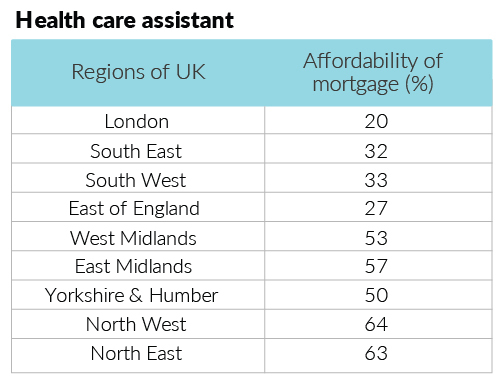 Nevertheless, when considering the average wage for each of these roles in comparison to regional mortgage affordability rates; it is clear that public sector workers face a huge shortfall between the two figures. If professionals in public sector roles are unable to afford a home; younger generations looking to enter into such roles may be deterred; proffering future skills shortages. Considering the current teacher supply crisis and junior doctor strikes; public sector salaries and conditions need addressing imminently. Currently, there are no tangible signs to show this happening. The housing crisis is a multifaceted issue that has affected millions. For some time, the term ‘generation rent’ has been used to describe those who would, in previous years, have been looking to buy a house, but have found themselves renting due to the astronomical sums required to make the leap onto the housing ladder. Unsurprisingly, London homes have become a seemingly impossible dream for the majority of buyers. However, for public sector workers, the disparity between their salary and the cost of owning a home makes for a bleaker outcome. What’s contributing to the housing crisis? With the cost of living constantly on the rise, workers are now seeking jobs offering a more substantial salary. Consequently, an oversubscription has occurred in industrious areas such as the capital, and other major cities and demand is growing for affordable housing. Generally, house prices are rising faster than wages. 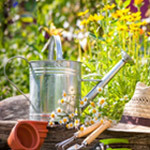 Land owners often ‘sit’ on land which could be used for housing development. The value of the house grows until they can sell it for a higher profit, and consequently the houses are sold at an inflated price. Politicians are trying to come up with ways to reduce this; a possible land tax or ‘use it or lose it’ policy. 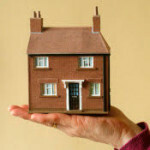 Buy to let loans have grown by 6% per year since 2008. 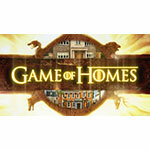 The more properties let, equates to less homes available those looking to buy. 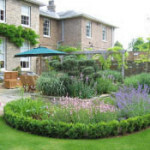 Councils often place restrictions on what type / style of houses can be built in certain areas. The location for new-builds also remains problematic. With space running out; landfill, flood plains and other such areas are becoming an increasingly impractical short-term solution. has caused work to be slow on the construction of new homes. The poor treatment of junior doctors has been the cause of much contention and has proffered strikes. Verdict: Can’t afford a London property – seem fair? 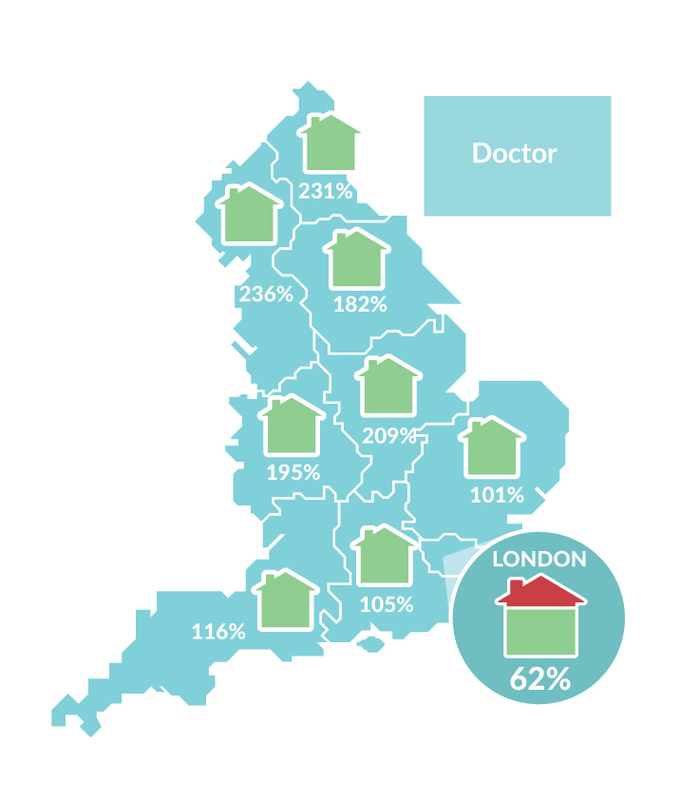 Statistically; when excluding London from our survey; the affordability of homes for doctors appears more than fair. This highlights the disproportionate cost required for a London property; yet this is just one problem a handful of doctor’s face. On a grander scale; it is important to consider the average doctor’s salary used for this survey does not reflect what many junior doctors actually receive (a junior doctor has to work a minimum 4 years to progress salary). When considering a junior doctor’s starting salary; there is a greater shortfall between their salary and mortgage affordability. Junior doctors on a starting salary, like police officers and teachers, are unable to afford anywhere across the UK. Health Care Assistants are the backbone of the NHS. Core responsibilities include working one-to-one with patients and under qualified health workers. 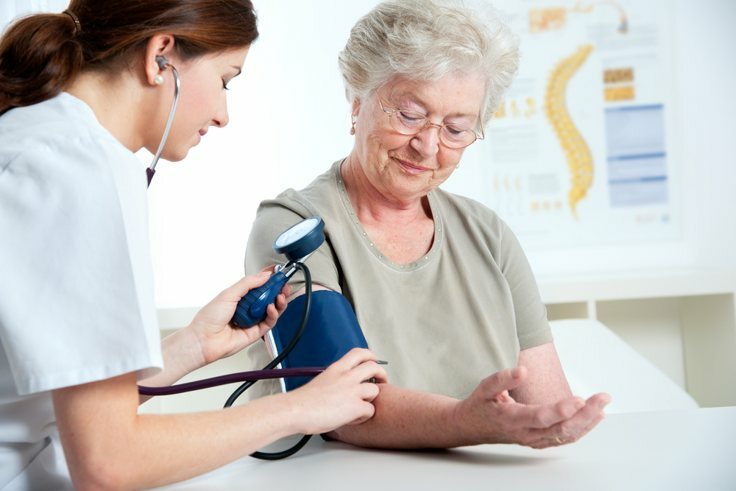 HCA’s work towards a Care Certificate and require basic nursing skills. Work experience in care prior to training is mandatory. 40 hours per week including shift work, unsocial hours and being on call. 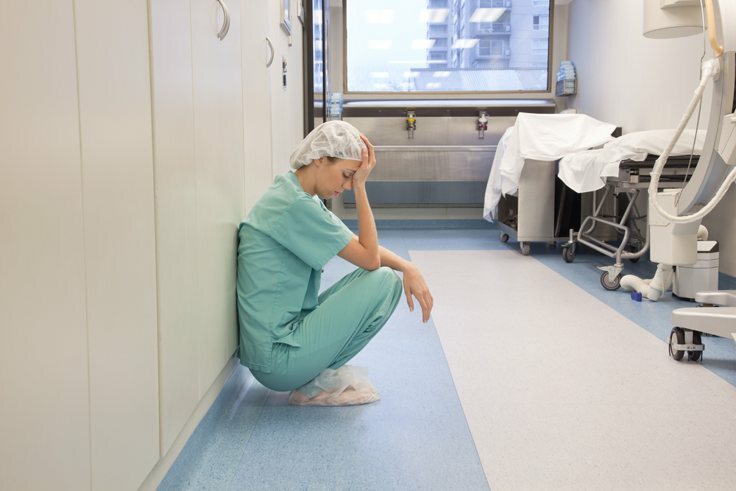 HCA’s cite struggling with heavy workloads and feeling underappreciated. 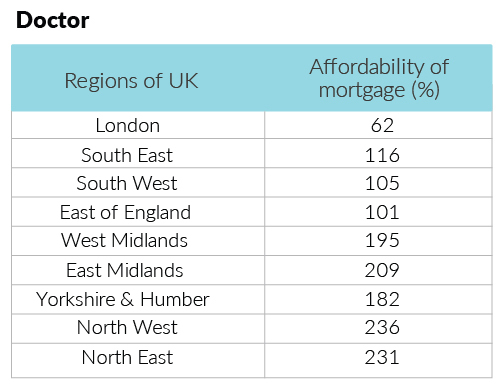 Verdict: Can’t afford a property in the North East, Yorkshire & The Humber, West Midlands, East Midlands, South West, South East, Eastern or London – seem fair??? 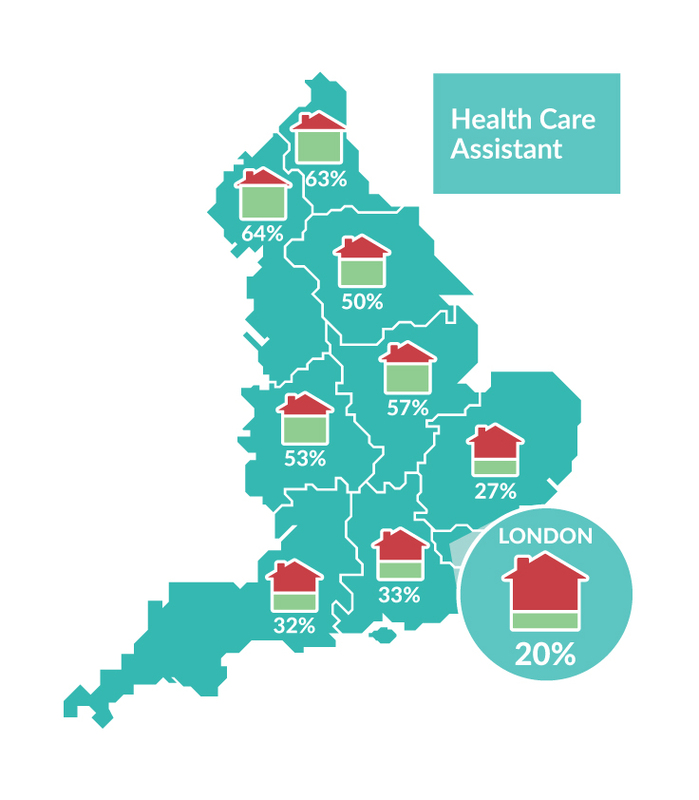 Considering that HCAs cannot afford a home anywhere in the country, even after they have surpassed the national wage average; it would suggest that it is near to impossible for a health care assistant on a starting salary to secure a property anywhere. 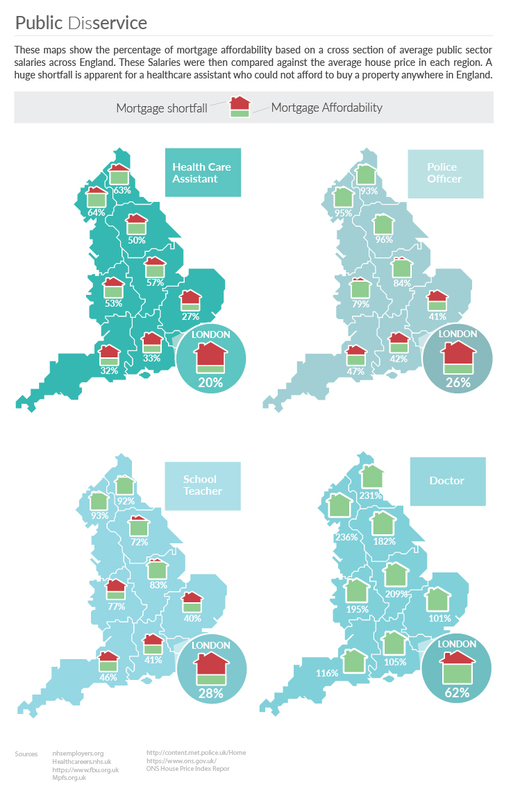 Using the national average; a HCA could afford just 63% of a North East home and a meager 20% of a London property. Teachers have been another public sector service taking to the picket line. 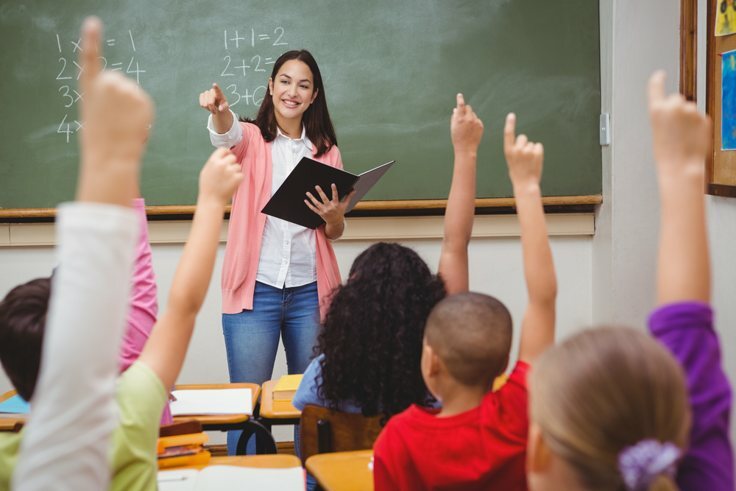 With an overwhelming workload, unrealistic targets, staff encountering violence in the classroom, and having to wade through reams of bureaucratic red tape; teaching has become one of the fore-running careers for stress-related illnesses. Like health care assistants; teachers are unable to afford any mortgage average in the country. 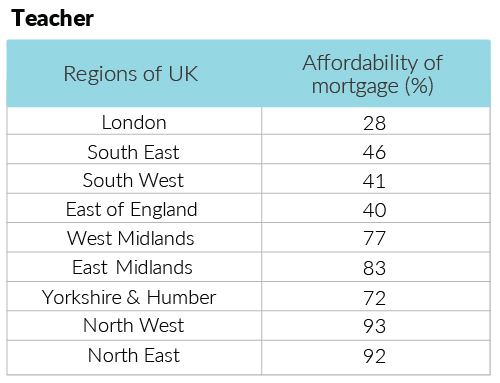 North-eastern properties and homes in the north-west were almost within reach at 92% and 93% respectively however, teachers were a whopping 72% short when considering London mortgages, earning just enough to meet 28%. 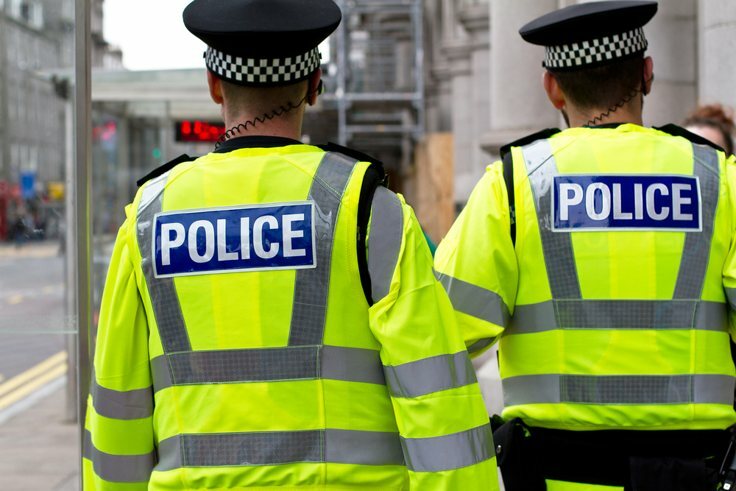 Due to increasing public fears, police are more important than ever protecting communities and making them feel safer. 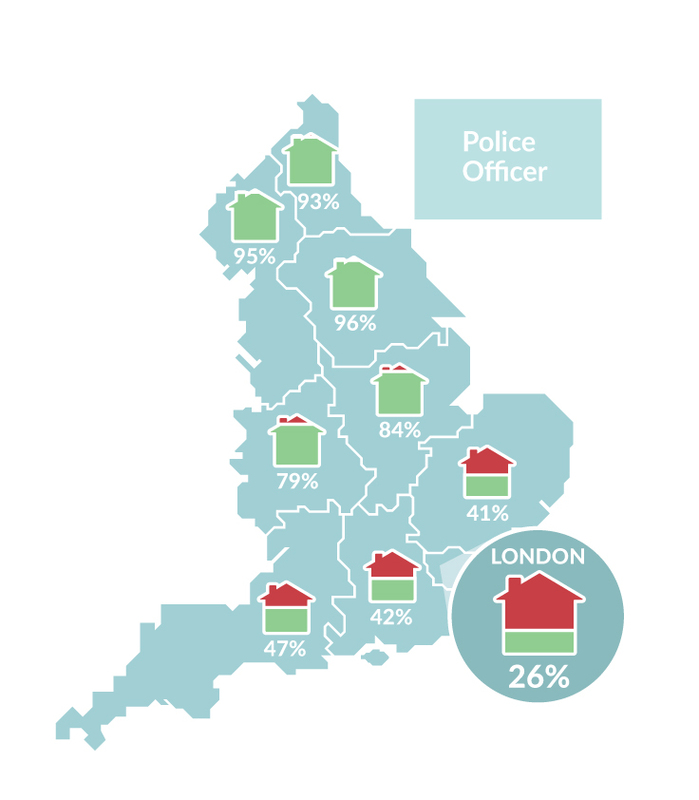 There’s no doubt that it is a highly challenging job coupled with long and unsociable hours, yet a police officer can only afford 26% of a London home. Applicants have to make it through a stringent application process. After this they have to undergo 2 years of extensive training through 4 phases of development, before they start their probation period as a police officer which lasts 2 years. Police officers work an average of 40 hours per week. However unsociable hours, shift work and emergency call-outs are common. Shifts are up to 10 hours, but being on-call can prolong the work day. 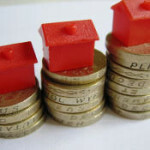 Verdict: Can’t afford a property in the West Midlands, East Midlands, South West, South East, Eastern or London – seem fair? Police are suffering the effects of the housing crisis. 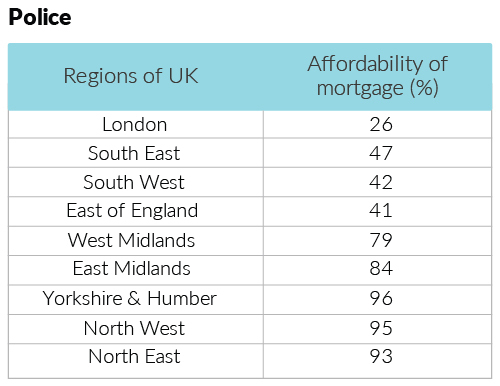 Affording just 26% of a London mortgage; the southernmost counties appear to be unobtainable without an additional salary. Northern properties are a more realistic prospect with 93%, 95% and 96% averages. With the housing crisis being a multifaceted issue, a singular, magic solution looks unlikely. Instead, certain areas can be improved upon to raise the standard of living and to ease the process of saving for a house. – The Government could address the unrealistic financial gap between rapidly rising house prices with low-salaried jobs (especially those of the public sector). – The estimated 635,000 empty properties need to be sold or let. 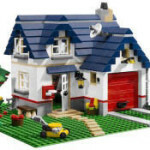 – More homes need to be built or renovated to meet increasing demand. Through surveying a cross section of public sector jobs, our research highlighted the shocking disparity between public sector salaries and mortgage affordability. Having invested their time, effort and energy into others, it is vital that public sector workers are not disadvantaged when looking to make the leap onto the property ladder. After all, they look after us, it is only right that we should return the courtesy.